Around mid 2015 the Beattys business development team were searching for new product innovations the company could bring to NZ that would be a great fit with our strengths in the commercial vehicle and machinery sectors as well as deliver growth potential into new industries. What they found was an innovative onboard compressor & generator system driven by the vehicle’s driveshaft or engine that was taking off in the European market, so after securing Australasian distribution rights to these products the TURRET ONBOARD ENERGY division was born! 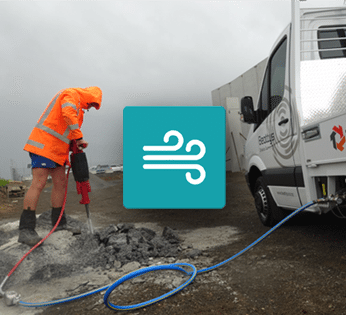 compressors, generators, pumps and other equipment so your on-site work can be carried out in the most efficient way, while also being safer and costing less to maintain. ‘ONBOARD’ means we build or fit this auxiliary equipment directly on to your vehicle or machine without reducing any load space, towing capacity or power output. This means your essential power equipment is always with you and ready for work wherever you go. 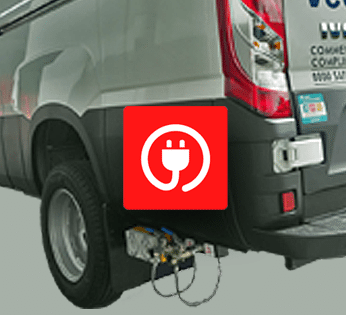 Leading utility and civil contracting operators were among the first to prove the benefits of our vehicle mounted compressor and generator kits, installing them into their long wheel base commercial van fleets. became clear that a wider range of vehicles and also mobile machinery could likewise be revolutionized by incorporating TURRET ONBOARD ENERGY equipment. To extend the range offering and deliver these benefits to machinery users we can now offer an exclusive line up of compressors, generators, high pressure water pumps and other auxiliary equipment that is powered by your machine hydraulics. 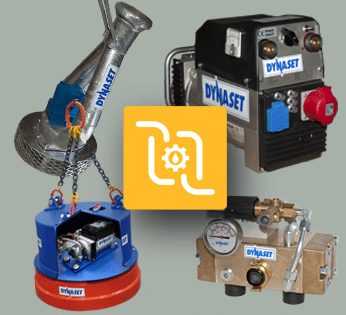 Dynaset, the manufacturer of this high quality equipment is the global leader in hydraulic generators, power washers and compressors. These products are used for hundreds of applications in various industries worldwide. Check out our Vehicle Mounted or Hydraulically Driven solutions below – we look forward to having you onboard!